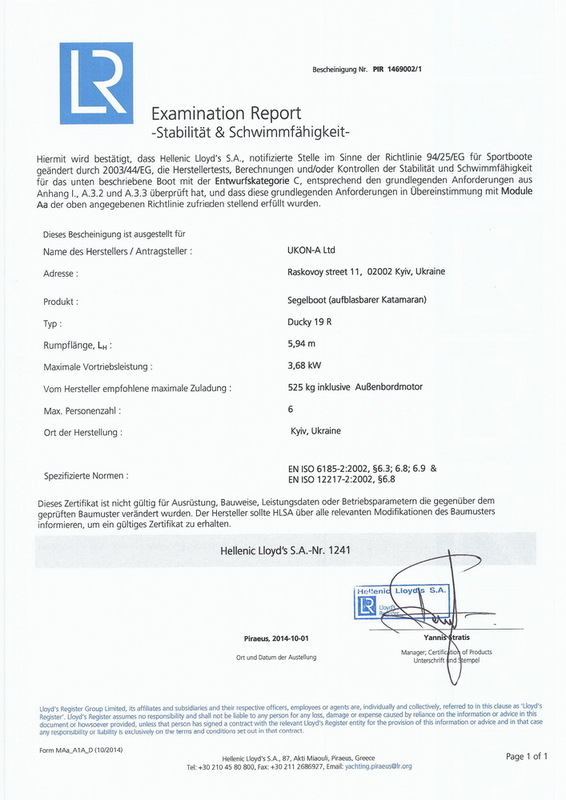 Abre Ltd. is an official dealer of Ducky catamarans. 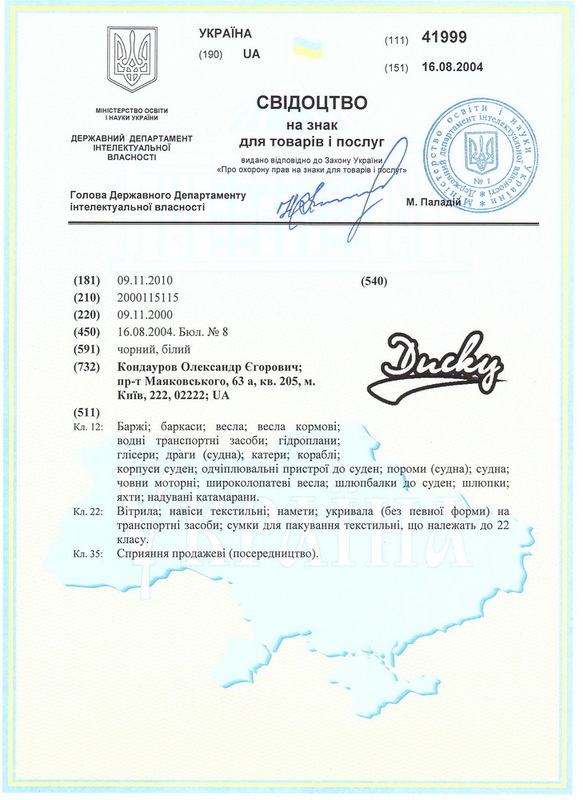 Ducky is the registered trade mark. 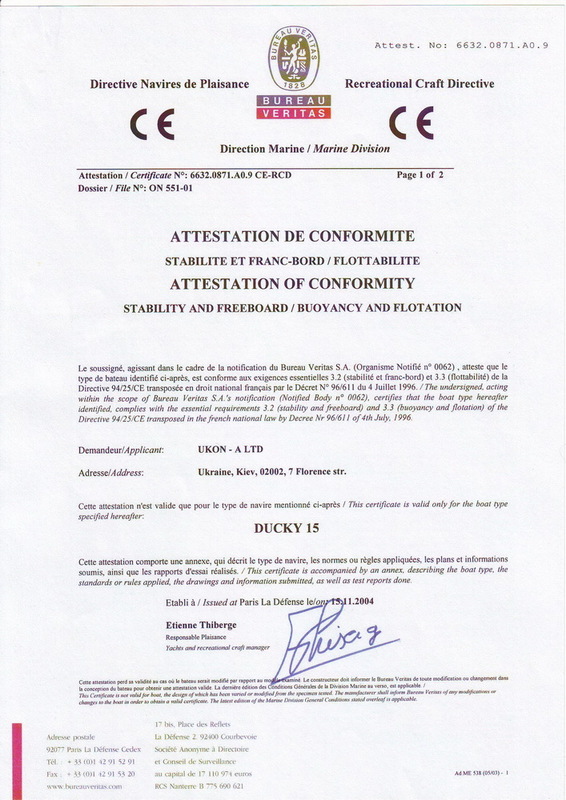 There are four models of Ducky catamarans available and a couple of more are currently under development. 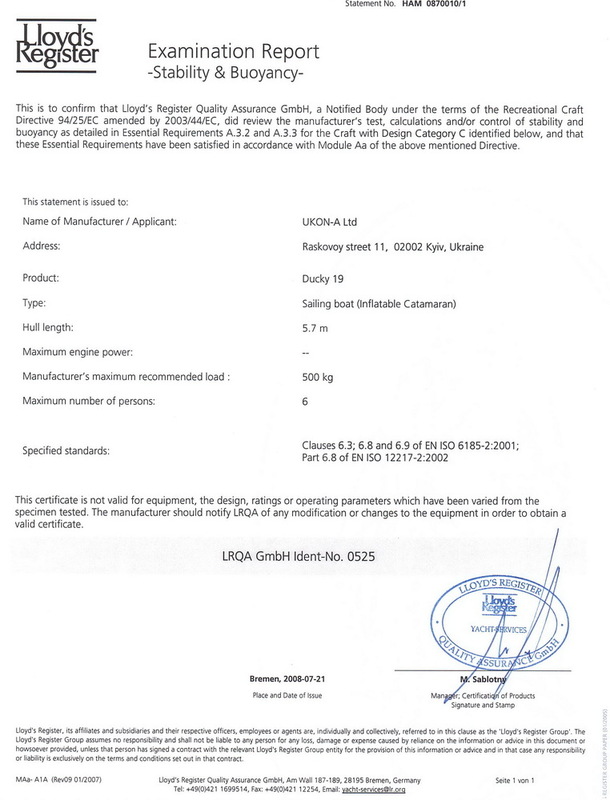 All catamaran models have a necessary certification, all models are patents protected. 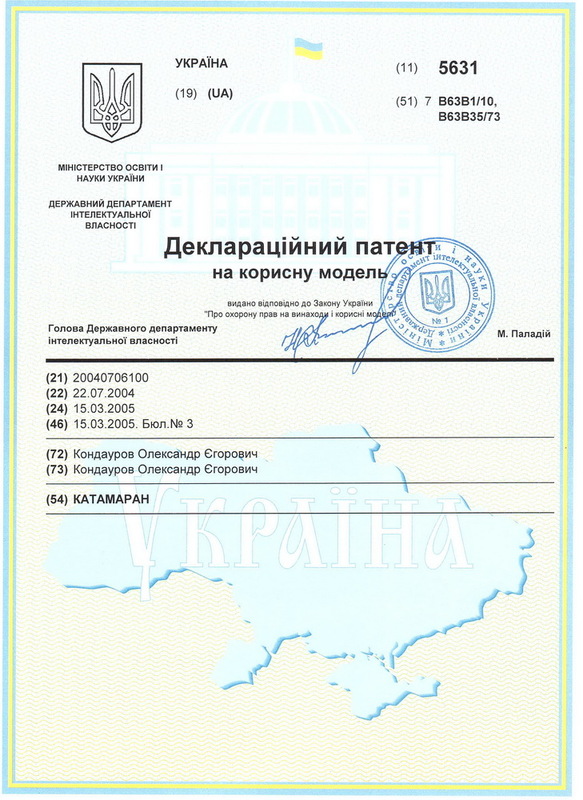 Ducky catamarans are produced in Ukraine by Ukon-A Co., Ltd. since 1999. 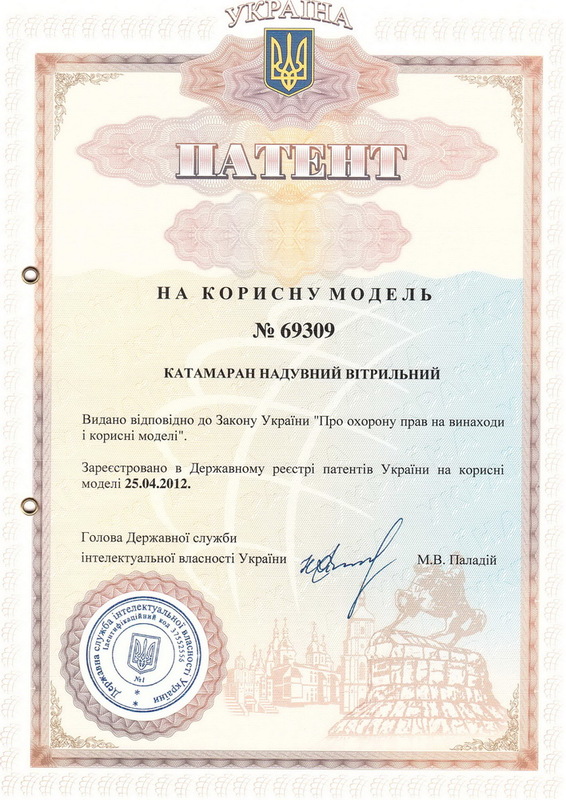 Production is certified by the Shipping Register of Ukraine. 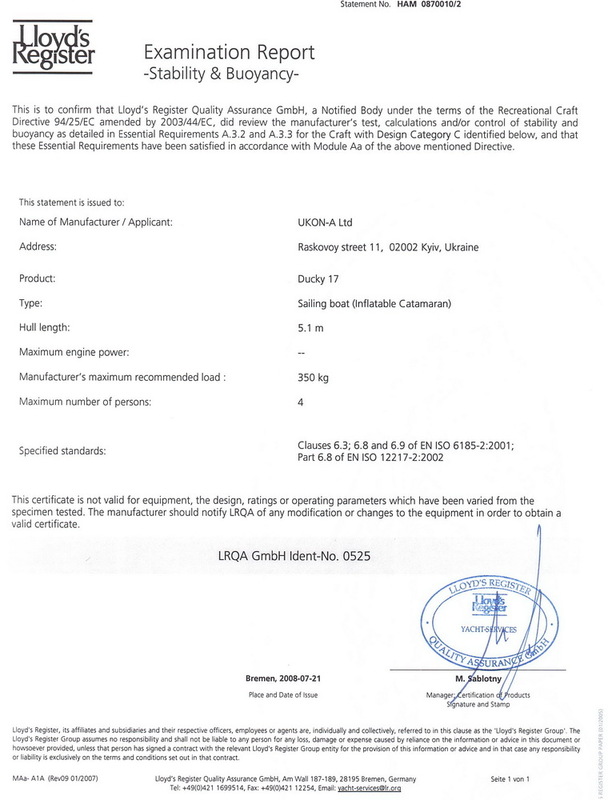 Ducky employees have years of experience in the design and manufacturing of inflatable sailing catamarans. First catamaran designed in early 1976. 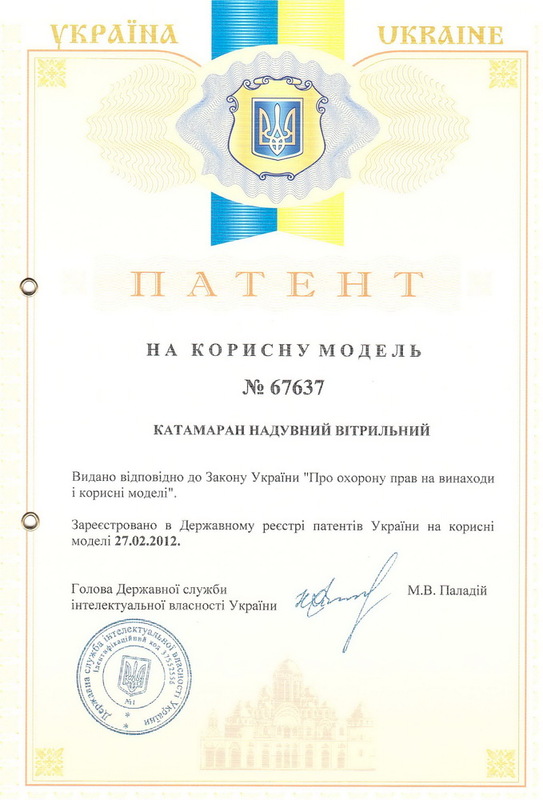 Ducky team continuously seeks improvements for their products as well as continuously works on new models. 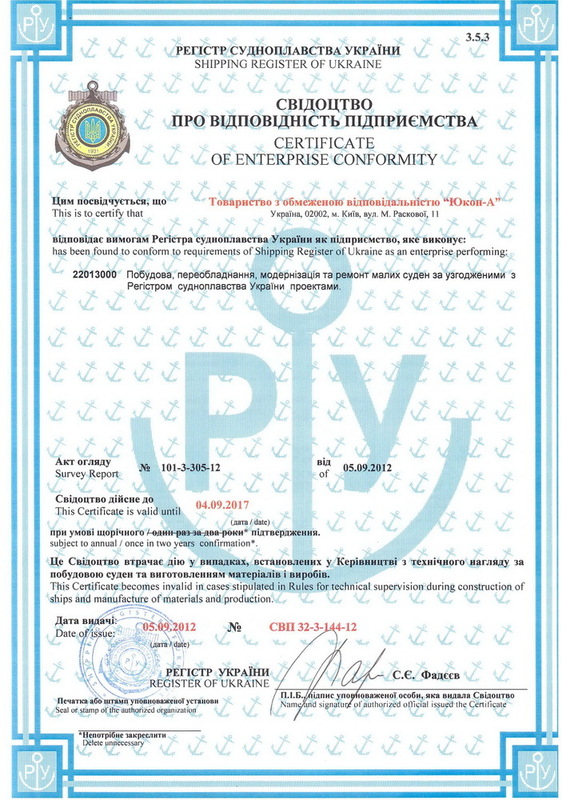 The certificates of Ducky catamarans are in the gallery below. We encourage all of our customers to actively share feedback with us and help us improve Ducky catamarans even more. We encourage everyone interested in sailing feel free to contact us for more information or request a test-sail.